Start making a new video and add a new scene to the timeline. 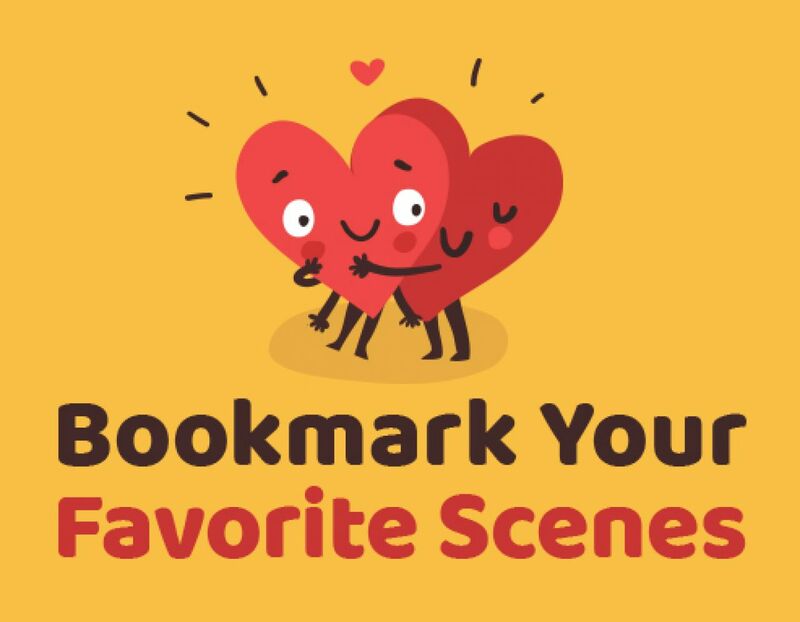 As you find scenes you like, click on the heart symbol to send it to your favorites collection. 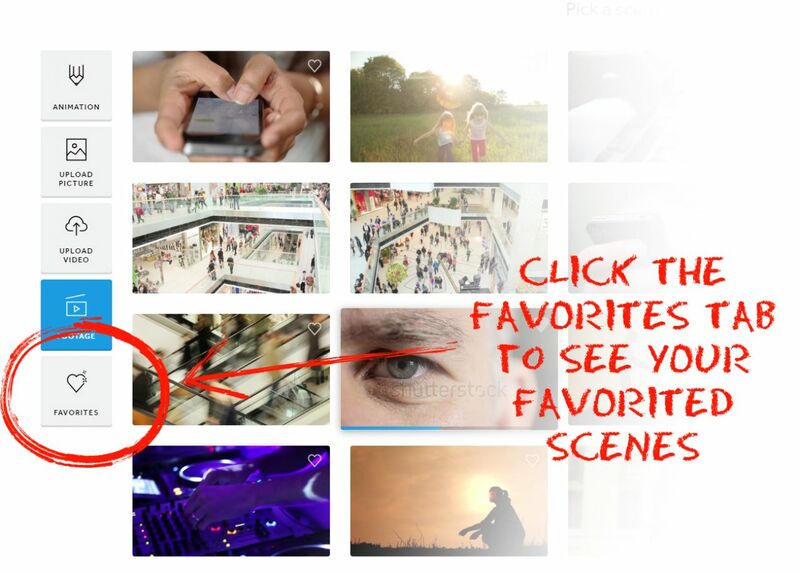 Go to the favorites tab to see your favorited scenes. Here’s where all your favorited scenes will be. If you’d like to remove any favorited scenes, simply click on the heart again, and they’ll be removed. And that’s all there is to it! Cool, huh? And remember, if you have any feedback, hit us up on our support channel (click the support link in the top right of your toolbar when you’re logged in to your account).